Still not sure about a road trip around NZ? Then check out our film for Epic Campers to surely get your excited! 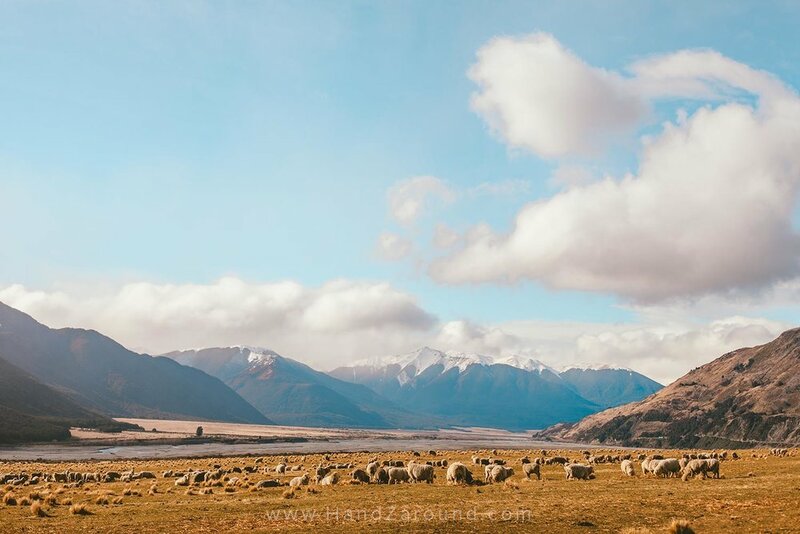 This is Part 2 of HandZaround’s New Zealand Road Trip Two Week Itinerary about the South Island. 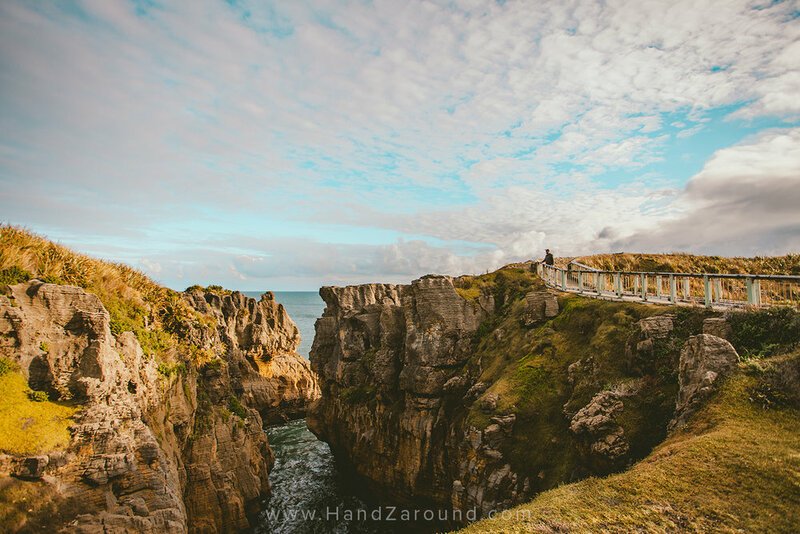 To see Part 1 of HandZaround’s New Zealand Road Trip - Two Week Itinerary about the North Island & choosing van rental company, click here. After researching for hours and hours, we realised that the ferry crossing is a bit expensive if you have a car (well, to us it’s a bit expensive!). There are two companies that operate ferries between the North and South Island that run multiple times every day - eventually we went with Bluebridge Ferry and the journey was great. Plenty of seats, free tea and coffee, free cinema, wall sockets, quiet areas, viewing decks, buffet breakfast ($18) and a cafe with all the drink options. The views from the ferry are spectacular the entire way. Exiting Wellington Harbour you cruise underneath the flight path to the airport - it was really cool to watch the planes coming into land. 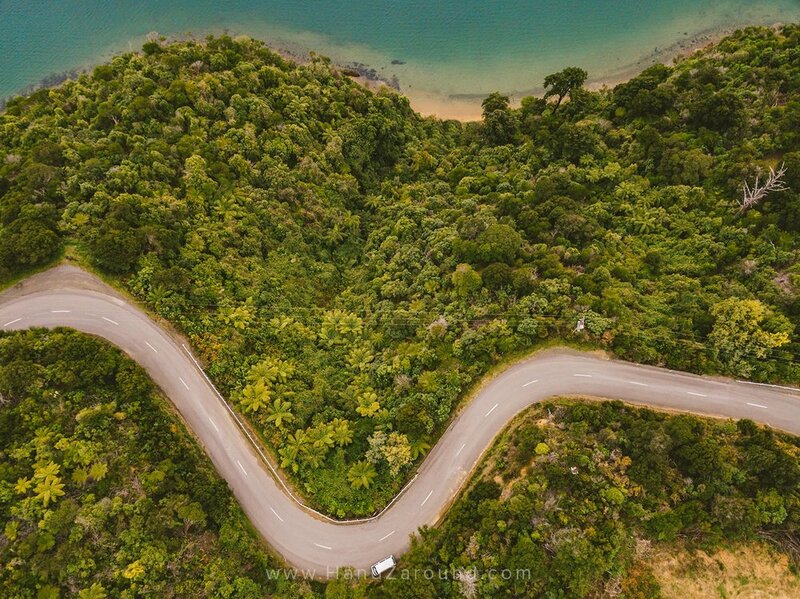 As you get towards Picton in the South Island, you enter the Queen Charlotte Sounds. These are stunning! Just be careful when you head out to the viewing deck as it can be super windy (like…next level windy!). All in all, the ferry ride takes 4-5 hours. This includes checking in before and getting off the ferry at the other end. Remember that once you park your car on the deck, you can’t go back until the journey is over. Queen Charlotte’s Drive is pretty stunning! This road deserves its own description. It is epic (so our Epic Camper suited this drive perfectly)! After you get off the ferry in Picton, head into town to pick up some food for a picnic lunch because you are going to need it. Queen Charlottes Drive runs along the top of the South Island from Picton to Havelock, and according to Google Maps it should take 45-50 mins - it took us 3 hours! Why? Because we stopped about 10 times at all the incredible little bays and lookouts along the way. We had lunch somewhere on Ngakuta Bay where we were able to drive right up to the edge of the water and admire the stunning Sounds. The gateway to the Abel Tasman! As we were told many times. Unfortunately, we didn’t have enough time to visit the Abel Tasman National Park and the famous Kaiteriteri Golden Beach, but we did explore the town a little bit. We really loved the Sutton Gallery and the lovely Albion Park attached to it. The town is small(ish) with everything you need. We stopped in the local bakery to pick up some pies and had a great coffee from the man on the corner of Bridge and Trafalgar St.
Mountains and the beach - we’ve never seen something like this! Westport was a last minute addition to our itinerary and we are so glad that we went there! It is a sleepy little town with the best free camping spot we came across the whole trip - we pretty much slept on the beach! This is where you can see the mountains disappearing into the ocean along the coast. We headed into town and had some classic Kiwi Fish n’ Chips at Smiley's on Palmerston's St and it was so good - and at $7NZ per person it was a bargain. Late in the afternoon we went and checked out the seal colony at Tauranga Bay. When we got to the spot where the seals live, at first we were disappointed! Not a seal insight….but after we looked a little closer, they were actually everywhere! We quickly realised that seals blend in with the rocks and don’t really do that much when they are on the shore - lazy seals! Be careful when you pull up to the seal colony carpark as you're surely going to be ‘attacked’ by an inquisitive weka (a bird a little bit similar to the famous Kiwi bird) looking for something to eat. Don't worry though - they're harmless. We also stopped into The Star Tavern for a beer and met the Governor (a big, cuddly & super happy giant)! From Westport, we made our way to Kumara, which is about 15 minutes past the bigger town of Greymouth, along the Coast Road. This road was absolutely amazing. Seriously it is one of the most beautiful and scenic roads we’ve ever driven along. You could easily spend a full day covering the 100km from Westport to Greymouth as there are so many places to stop and explore. We loved the Truman Track that takes you through the forest to a secluded beach with a disappearing waterfall. The Pancake Rocks at Punakaiki are really cool however we got the vibe that it gets super busy during the summer. There is nowhere to get fuel between Westport and Greymouth, so make sure you have filled up before you leave. 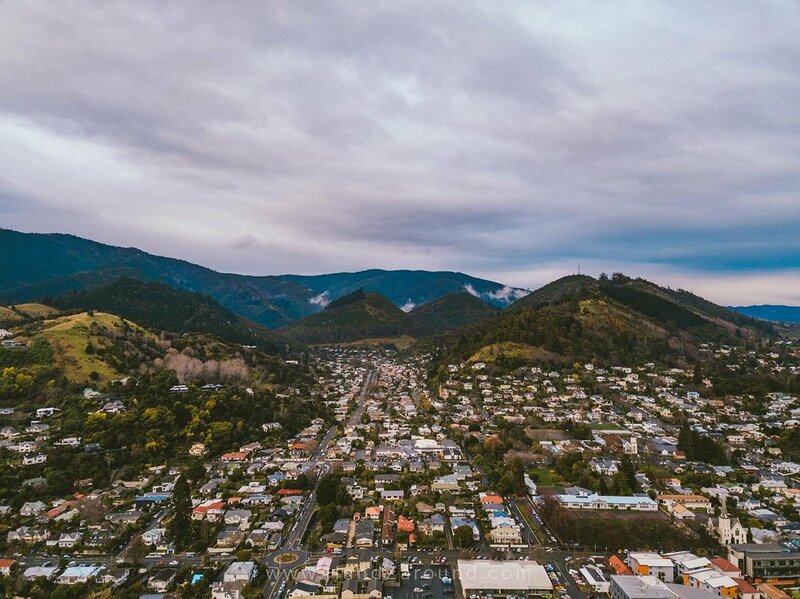 Once in Kumara, there is a plethora of things to do. We took a trip around lake Brunner and stopped in Moana at the Station House Cafe for a delicious meal looking over the lake. There is a great swinging bridge on the Arnold river that is very pretty. Carew Creek Waterfall is also worth the little trek off the road. We were able to learn about & see all these things thanks to the lovely AirBnB owner - Heather. She runs the cosy Punga Place and has plenty of recommendations about things to do in the area (plus the glow worm caves are literally a step away from her house!) - for more info, visit Kumara’s website created by Heather’s husband, Andrew. The local pub, Theatre Royal, in Kumara has a Wednesday night dinner special for $10 per person! The road from Kumara to Christchurch takes about 3 hours, but you will want almost double that time to really enjoy it. It is a semi-busy road with a few trucks and one-lane bridges, so its best to drive with a bit of caution. Must Sees: Godley Heads, Christchurch Night Life, Little High. Our first night was just outside of Christchurch at the free camping spot called Chamberlains Ford campground. There are two campsites on either side of the bridge with one of them being closed during the winter months. Make sure you take the entrance off Old Bridge Rd. The facilities are basic but in great condition. Once in Christchurch, we met up with some old flatmates from London who showed us around the city and some nearby epic scenic spots. Thanks Tim & Liv! 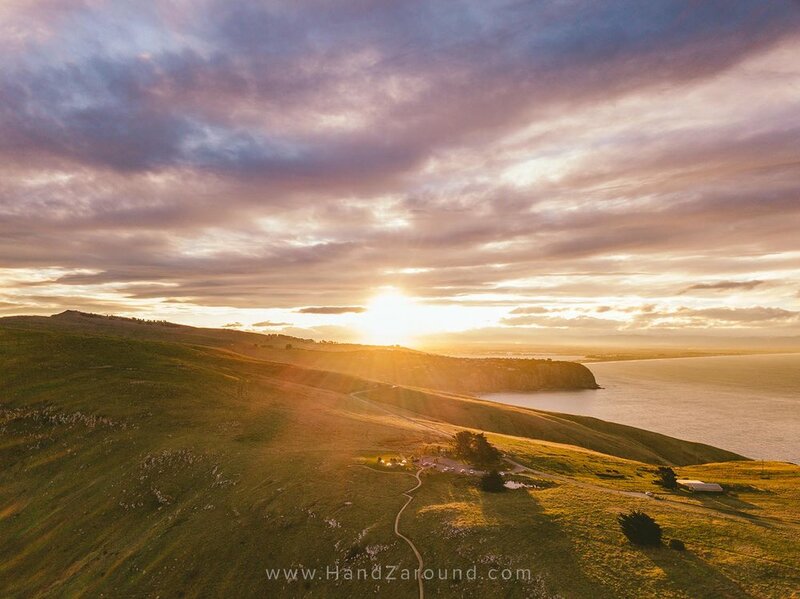 We headed out to Godley Heads for a stunning sunset over the city. We had a dinner at this awesome place called 'Little High'. It is like a permanent food truck stop with flavours across the world, all under the roof. Everything from pizza and burgers, to ramen and sushi. With pretty good prices to match. During the evening we headed into town for a mini pub crawl starting at the Lone Star, and then onto The Cuban, Rockpool and ending up at the Botanical. We wanted to go into Amazonita, just underneath the Botanical, but the bouncers were super rude & not pleasant and they did a whole lot of fuss about Zach’s ripped jeans - so we actually didn’t get in… So if you are planning a night out in Christchurch be aware that some places may be too cool for school for us, mortals. 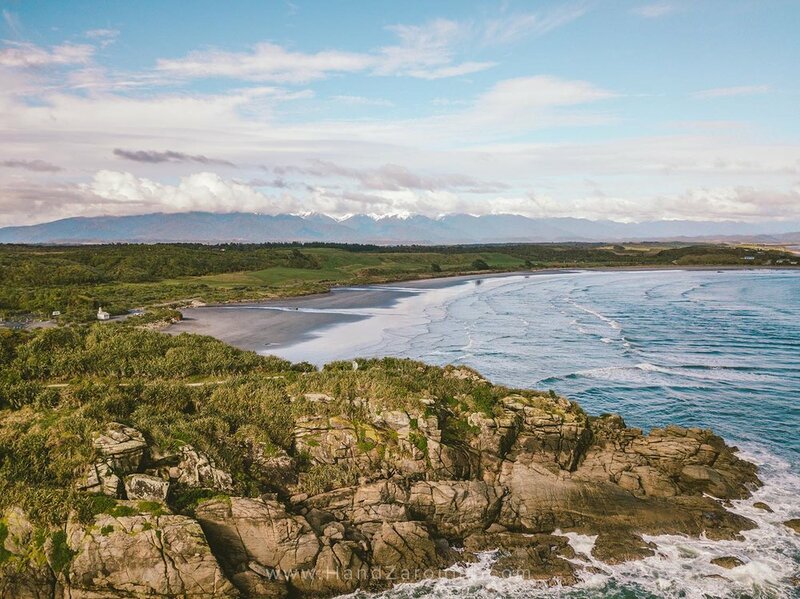 Road tripping through New Zealand is our best overall travel experience ever. Just when we thought the country couldn't get any more beautiful, BAM, another stunning lookout greeted us around the corner. If you are planning on doing your own NZ road trip, do yourself a favour and double your length of stay - we know you won't regret it. The most amount of fuel we put in was 41L, so the must have a 45L tank. We did get 410km out of 1 tank. There were a couple of really long stretches (150km or more) without any fuel stations. We collaborated with Epic Campers NZ on their promo videos and photographs but all opinions in this post are as always, our own. Also, this post contains affiliate links, which means that if you book or buy something through our links, we will earn a small commission fee. It doesn't affect the price you pay, and we get to sustain our website thanks to these small earnings.